I hit a bump in the road, but not in reference to my recovery. My second time out of the house was to go to my college, Central Texas College, to get my two books I need for the spring semester. I was expecting my full pell grant, like I normally have. My financial aid for this semester was denied because I have too many credit hours. They said they sent me a email. Right…I never got one. I was expecting that for the next semester but I had been approved for this school year already. Apparantly, that doesn’t matter. Before the break, I had financial aid. I checked with the business office. I had to pay out of pocket for my classes. My last semester at CTC and I graduate this semester and they do this to me? They told me I have to go to a university to continue getting financial aid but they gave me no time to go this semester. I also am not ready to go to Texas A and M until the Fall. I want to graduate with my associates degree at CTC. I also had to spend forever in the bookstore line because I had to go to financial aid to find this out because the bookstore had no funds for me. Then I had to go to the business office to pay for my classes and by the time I got back to the bookstore, the line was throughout the whole bookstore. I got my books finally. If my mom hadn’t paid for it, I would not be graduating this semester. Four classes and two books cost 1000 dollars. She is awesome. I had my walker and she went with me to the bookstore, financial aid and business office. I can’t drive yet. She stood in that long line with me too. We went at 7:30 and just got back now. More than three hours. I have 13 credit hours. I could have taken only 10 and I could have still graduated but my mom went ahead and paid for 13 anyway. I really want to take American Lit 1, even though I don’t need it now. When the financial aid lady told me this, the first thought in my head was that I couldn’t go to school and graduate. I’m glad now that I got hired for this notetaker job at CTC. I hope nothing goes wrong with that because I really need it now. I thought too, that they dropped all my classes for not paying if I had no financial aid. Thankfully they didn’t drop the classes I had registered for before the break. If they had, I would have had so much trouble reregistering. 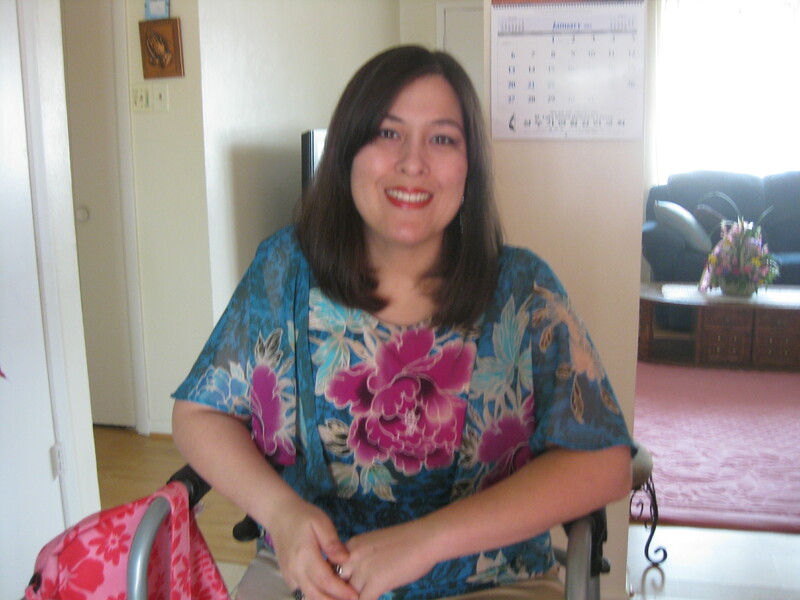 I actually did pretty well, walking with my walker. I got a lot of stares. I saw a friend from school and she said what happened to you? I almost ran over my friend’s little girl too. Then I noticed it was a friend from my class. I have to go back to CTC at 4:30pm to get hired for my notetaker position at CTC. Below is my picture all human again. First time I looked some what normal since the surgery. I think I have lost a lot of weight too. My mom has been very supportive since my surgery. Today she took me to CTC to get my books but ended up having to spend more than three hours there. She has to take me to CTC tomorrow too, to get my CTC id card and CTC employee parking sticker, as well as talking to my supervisor. She has been patient and supportive of me at this time. Mothers are the best. I might forget that sometimes, but they will always be there when you need them. I am not able to drive and my mother will have to drive me to training days and work days at CTC until I can drive myself. Training at CTC is no joke. I have four classes I have to attend. I think it will be another month or two before I can drive. My mom waited for me as well while I was getting official at CTC. 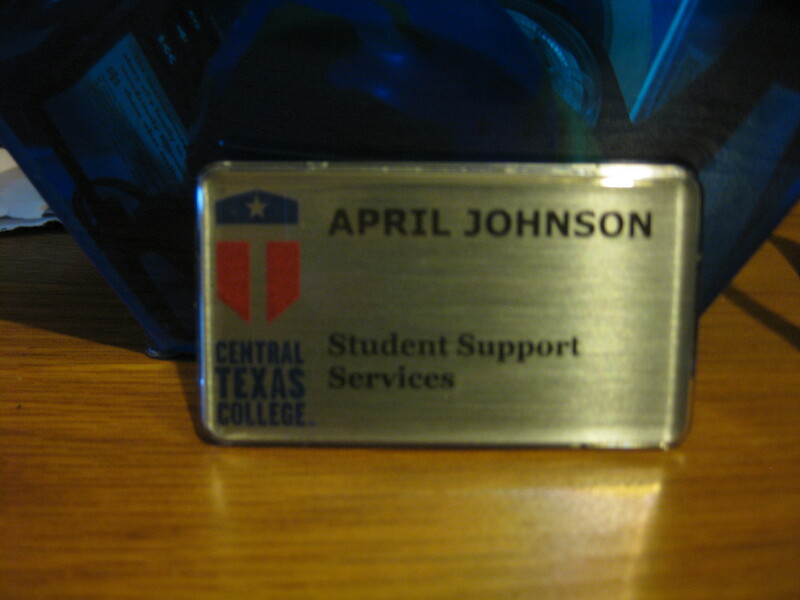 I’m am now an official CTC employee. Badge below. This entry was posted in Right PAO and tagged 3 week post-op, bilateral hip dysplasia, dysplasia, hip, hip dysplasia, hip surgery, hips, PAO, periacetabular osteotomy, post-op, recovery, surgery.